Eric has just published the 2014 birthday reading for Capricorn! You already know that no astrologer offers audio readings as uncannily accurate as Eric's, so if you have your Sun, Moon or rising sign in Capricorn, or if someone important in your life does, this is your chance to purchase an in-depth reading by Eric at a special price of $19.95. That's a $10 savings on the regular rate for this reading. The birthday readings are a great companion to the Mars Effect readings that published last month, and offer new information with a new approach. They are also an excellent way to consider the current astrology, whether you're an astrology student or curious about the influences. Eric designs all of his astrology readings to build on each other, offering you real support every step along the way. "It feels like you not only have access to my soul but can illuminate my struggles in a way that helps me put words to what I am going through, so that it is easier for me to talk to the significant people in my life." "You NAILED it! I'm listening and thinking -- that is soooo true. And then I listened to the tarot reading -- was I in your thoughts when you did that spread?! The answer is of course not -- you don't even know me, but that's how personal it was -- your insight was truly a gift for me. So thank you." "I don't know how you do it, but your readings get better every year -- it's amazing!" 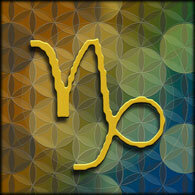 You can have instant access to relevant, insightful, accurate astrology by ordering the Capricorn birthday reading now. So much is changing so quickly in the world these days, calling for a combination of resilience, strength, flexibility and curiosity. Eric's astrology readings are here to help you adapt and thrive. PS -- The Aquarius and Pisces birthday readings will be publishing soon. You may pre-order Aquarius for $19.95 here.